Back in the spring of this year, the TFS team released Service Pack 1 and a feature pack that added official support for adding Project Server to a TFS deployment. Prior to this release, you had to use a Powertool to get this to work. Now it’s an officially supported configuration. I spent a little time setting it up this week and wanted to crow post some thoughts. Biggest lesson learned: you need a lot of RAM. Or, you need more than the paltry 2G I usually setup my test VMs with. I did manage to squeeze SQL Server 2008 R2, MOSS 2010, and TFS 2010 into a 2G VM. But when I added PWA, Visual Studio, and Project Professional 2010, the VM went over its threshold. My RAM maxed out. Everything shuddered to a halt. Browsing slowed down and most commands timed out. I doubled the RAM in the VM to 4G. I’m still a little sluggish, but I got it all installed and working. If there’s interest, I may create a video next month. Categories: Tips | Tags: install moss 2010 for tfs, install sharepoint for tfs, installing project server 2010 for TFS, TFS 2010 | Permalink. Can I install TFS and Project Server on a single machine? I already have TFS and I would like to install Project Server on the same machine. My wish is to have only one Sharepoint instance for TFS and Project. I don’t find the procedure for single server scenario on the MSDN. I would be very interested to know more about your configuration — how many users, how hefty your hardware. I don’t have good real world numbers for how people use Project with TFS, but would like to understand the scenario better. Good luck! Thanks for the information. My configuration is very specific because I only have a few of users : 6 users for TFS and 4 users for Project. I had two virtual machines (TFS and Project) in the same host. 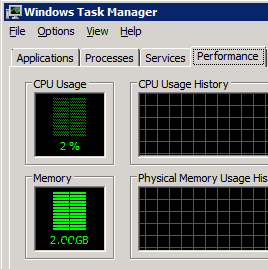 And now I think it is better to have only one VM for TFS+Project+Sharepoint with a lot of ressources for this VM : 4 virtual cores for CPU and 8 GB of virtual RAM. It seems enough. Thanks Youri! I apprecaite the insight. With only 10 users, I agree that you are wise to consolidate.